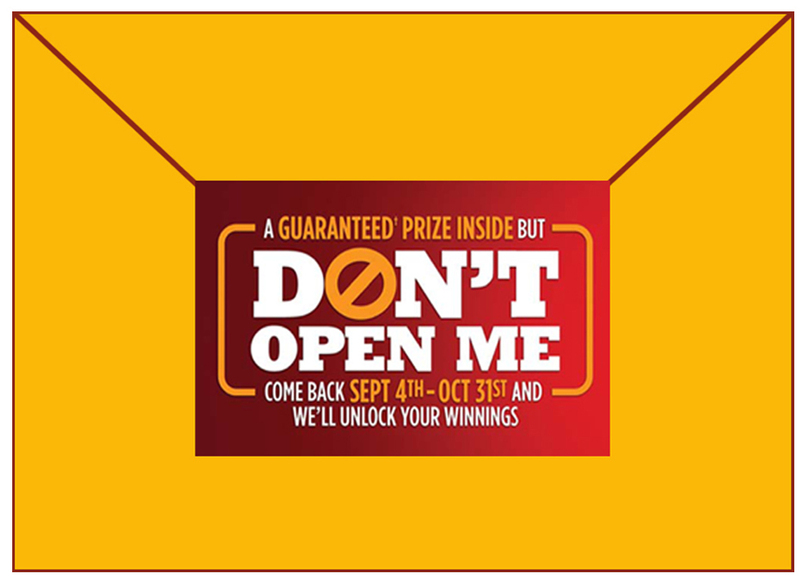 Pizza Hut is tempting Canadians with their mysterious Don’t Open Me Challenge! Win a $25 Pizza Hut Gift Card!! This is so excit­ing, folks!! I feel like I am par­tak­ing a role in “Char­lie and the Choco­late Factory”!! This sum­mer, Canada’s favourite pizza chain is test­ing the will power of Cana­di­ans with their mys­te­ri­ous Don’t Open Me Challenge. What’s the catch? From now until Sep­tem­ber 3, 2012 Pizza Hut vis­i­tors will receive a prize win­ning enve­lope with a sim­ple set of instruc­tions: Don’t Open Me until Sep­tem­ber. Every enve­lope is a win­ner, but only if it remains sealed until after Sep­tem­ber 3rd! 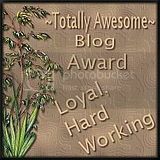 There is more than 1 mil­lion dol­lars worth of phe­nom­e­nal prizes such as: home enter­tain­ment sys­tems, gift cards, food prizes, travel vouch­ers, and so much more!!!!! For fur­ther deets, head to your local Pizza Hut and get in on the excit­ing new Don’t Open Me Challenge! Pizza Hut is one of Canada’s largest pizza restau­rant chains with over 320 fran­chised restau­rants across Canada offer­ing dine-in, deliv­ery and online order­ing expe­ri­ences. With more than 12,800 loca­tions in 100 coun­tries, Pizza Hut is the world’s largest pizza restau­rant company. Want to win one extremely tastey $25 Pizza Hut Canada gift card ? 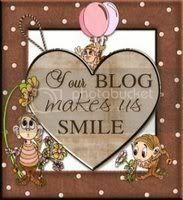 Well your dream has come true, because there will be 1 win­ner in this blog give­away and that lucky win­ner will receive a $25 Pizza Hut Gift Card that is redeemable in Cana­dian Pizza Hut Restau­rants only. CoolCanucks Blog Contest ~ Win 1 of 2 $25 Pizza Hut Canada Gift Cards!! Intro­duc­ing Sig­na­ture Sin­gles – Italian-inspired, thin crust piz­zas for only $5! First they brought us the Per­sonal Pan Pizza. Now Canada’s most rec­og­nized pizza chain is intro­duc­ing Sig­na­ture Sin­gles — Italian-inspired, thin crust piz­zas avail­able at dine-in Pizza Hut locations. The best part? From now until July 22, 2012, they’re priced at just $5 each! Pizza Hut — home of Canada’s favourite per­sonal pan pizza, is adding even more excite­ment to its menu with the intro­duc­tion of brand new gourmet piz­zas for one. Chef inspired Sig­na­ture Sin­gles com­bine Italian-style thin crust with unique and pre­mium toppings. And Pizza Hut is so sure that guests are going to love them that from June 11, 2012 to July 22, 2012 they are priced at just $5 each. D’Cruz adds that Pizza Hut is con­tin­u­ing to ren­o­vate its dine-in restau­rant décor and menu to cre­ate a more mod­ern and con­tem­po­rary casual din­ing expe­ri­ence for its customers. Extra cheese please! Cheese lovers across the coun­try will melt over this pizza’s med­ley of gooey ched­dar, parme­san, pizza and fresh mozzarella. Bold yes! But big on taste! Enjoy both the sweet and savoury flavours of grilled chicken breast, gooey ched­dar, pizza moz­zarella, crisp green pep­pers, red onion and a smoky BBQ sauce. Seafood enthu­si­asts will enjoy the delec­table hybrid of juicy shrimp, zesty lemon sauce, pizza moz­zarella, roasted gar­lic and mar­i­nated Roma tomatoes. Feel the heat with a spicy com­bi­na­tion of hot pep­pers, savoury pep­per­oni, bacon crum­ble, beef top­ping, sliced ham and pizza moz­zarella, laid over a deli­cious layer of Old World sauce. Sig­na­ture Sin­gles are avail­able at par­tic­i­pat­ing dine-in loca­tions. 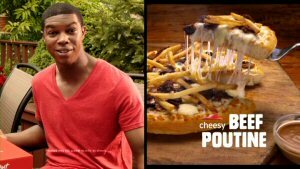 Check PizzaHut.ca for a list of par­tic­i­pat­ing restaurants. Want to win one of two extremely tastey $25 Pizza Hut Canada gift cards? Well your dream has come true, because there will be two win­ners in this blog give­away and each will receive a $25 Pizza Hut Gift Card that is redeemable in Cana­dian Pizza Hut Restau­rants only. Win It!! 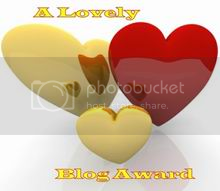 Enter my sweep­stakes give­away below for a chance to win 1 of 2 $25 Pizza Hut Canada Gift Cards!! Open to Cana­dian res­i­dents only. Pizza Hut Canada ~ Introducing Signature Singles – Italian-inspired, thin crust pizzas for only $5!! 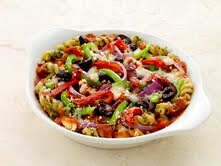 Pizza Hut’s new Health Check™ menu items make it eas­ier for Cana­di­ans to make healthy choices! As the warm weather rolls in and the days get brighter, Pizza Hut’s menu is get­ting a whole lot lighter! Start­ing today, Pizza Hut fans across the coun­try can enjoy a new health-conscious line of deli­cious deliv­ery and dine-in piz­zas and pas­tas. Intro­duc­ing Pizza Hut’s new Eat Well menu, fea­tur­ing Italian-inspired piz­zas made on multi­grain dough and oven-baked whole­grain pas­tas that are part of the Heart and Stroke Foundation’s Health Check™ pro­gram! To help spread the word about healthy eat­ing, Pizza Hut has teamed up with Janet & Greta Podleski — best-selling authors and stars of the Food Network’s hit TV show Eat, Shrink and Be Merry. “With each slice weigh­ing in at 200 calo­ries or less, we can all enjoy Pizza Hut a lit­tle more often!” exclaims Janet. “I’m all about taste and the pesto-marinated tomato slices and fresh veg­gies on the piz­zas get my seal of approval,” says Greta. “I’m picky about pasta too, so I was sur­prised how rich and tasty Pizza Hut’s oven-baked pas­tas are,” she says. “And, the 10 grams of fibre per serv­ing isn’t bad either!” chimes in Janet. The new recipes, all of which reflect the great taste and qual­ity that has made Pizza Hut an inter­na­tional suc­cess, fea­ture a range of veg­e­tar­ian and non-vegetarian options. The piz­zas are topped with healthy ingre­di­ents, includ­ing grilled chicken and pesto-marinated tomato slices, while the veggie-laden pas­tas fea­ture a com­bi­na­tion of feta and moz­zarella cheeses, roasted red pep­pers, olives and an old-world tomato sauce. All recipes were care­fully devel­oped to meet the Heart and Stroke Foundation’s strict nutri­ent cri­te­ria for sodium, fat and pro­tein. The Eat Well menu was devel­oped by Pizza Hut Canada and Cana­di­ans are the first in the world to try these new recipes. Pizza Hut has over 320 fran­chised restau­rants across Canada, offer­ing dine-in, deliv­ery and take-out. With more than 12,800 loca­tions in 100 coun­tries, Pizza Hut is the world’s largest pizza restau­rant com­pany. 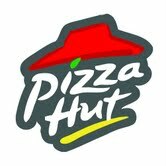 Pizza Hut, Inc. is a sub­sidiary of Yum! Brands, Inc. (NYSE: YUM). The company’s 50-year legacy of lead­er­ship and inno­va­tion has made it the rec­og­nized leader in the $37 bil­lion pizza cat­e­gory. For more infor­ma­tion, and to order online, visit www.pizzahut.ca. Health Check is one way the Heart and Stroke Foun­da­tion helps Cana­di­ans make healthy choices. All Health Check items meet nutri­ent cri­te­ria devel­oped by the Foundation’s reg­is­tered dieti­tians based on rec­om­men­da­tions in Canada’s Food Guide. Health Check works directly with food com­pa­nies and restau­rants to improve the food sup­ply by chal­leng­ing them to meet stronger nutri­ent cri­te­ria and offer Cana­di­ans more healthy choices. Health Check is the only non-profit, inde­pen­dent, and neu­tral food infor­ma­tion pro­gram in the coun­try. For more infor­ma­tion on Health Check as well as healthy eat­ing resources, tips and recipes visit healthcheck.org. The extremely kind and GENEROUS folks over at Pizza Hut Canada wants to give one VERY lucky Cool­Canucks reader the chance to win a $50.00 Gift Card for Pizza Hut Canada!! SWEEEEEEEEEEEEET!! 1) Head on over to Pizza Hut Canada and tell me what you love best about their new Eat Well Menu! 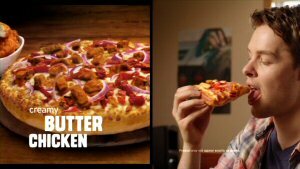 •Fol­low @coolcanucks and @PizzaHutCanada on Twit­ter! 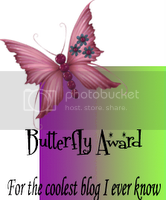 Leave me your twit­ter name! •Become a Fan of Pizza Hut Canada on Face­book and leave a com­ment on their wall that you came from Cool­Canucks! A HUGE thank you to Pizza Hut Canada for spon­sor­ing us with this GREAT Con­test here at CoolCanucks! !